First things first, congrats to the SF Giants for winning the World Series! 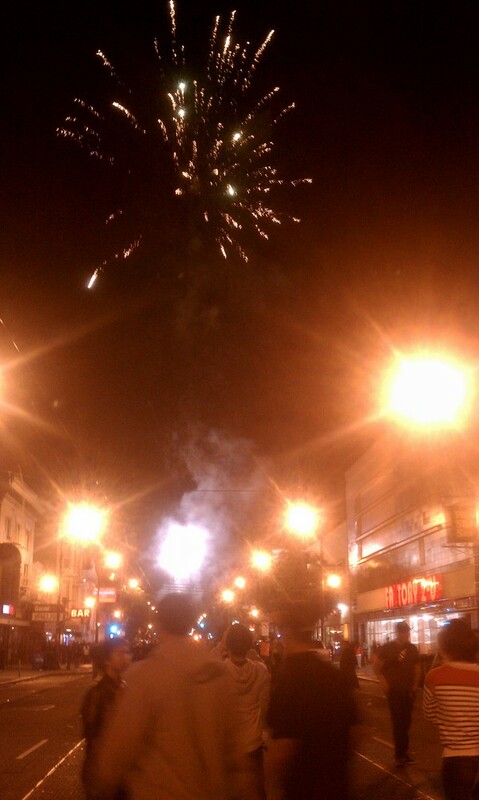 I’m pretty sure someone set off a fire cracker a couple feet away from me last night on Mission Street…but I’d had a few beers at that point so my perception was a bit off. When not running through the streets celebrating a major sports victory, I tend to keep myself fairly busy considering that I don’t have a job. It can be challenging explaining to people what exactly it is that I do. Do people who ask really want to know that I spend a fair amount of time writing cover letters, personal statements, and trying to improve my LSAT score? No, that doesn’t make for good cocktail conversation. And, to be honest, it’s depressing for me to discuss. So let’s not chat about that here. Instead, let’s talk about the other little things that I do to occupy my time. A while back I mentioned that from time to time I do a bit of social media stuff for my friend Brendan’s company, BlinkTag. Although I’m not doing too much for him at the moment, it’s neat learning about some of the projects he and his employee/our friend Trucy work on every week. It’s also nice being around other productive people who have a fairly flexible schedule, which gives us the opportunity to sometimes go on little adventures. A couple weeks ago, for instance, we got a car and drove out to Cupertino to visit a friend who works at Apple. During our stay at One Infinite Loop, we stopped for lunch and I actually saw Steve Jobs in the cafeteria line! I did a double take and he smiled at my confusion. Pretty sweet. After that we drove over to the Yahoo! Great America campus, not to be confused with the main Sunnyvale campus, to visit Conner (aka the bf) who works there. Yahoo! was a lot more purple than Apple, but I’d say both were a lot more officy feeling than I would have expected. At some point Brendan, Trucy, and I hope to make it to some of the other big name offices around the Bay Area. Last week B and T let me tag along with them to Oakland, where we met up with the people responsible for BART‘s social media. Almost all social media work I’ve done, whether for BlinkTag or Londonist, has been based on knowledge I’ve gained by personal use and a little bit of shared info, so it was interesting to hear what people who do it more officially had to say on the subject. One of the coolest things I think Brendan and his crew have done is create Bikesy, a bike mapping service for the Bay Area, which incorporates safety and elevation into its routes. He altered the service a bit for one of his clients, which you can read about here (guess who wrote the blog post and did the screencast, nudge nudge wink wink). And! Just to show how ridiculous I can be and what other types of things Brendan’s had me do, check out his blog for a whole bunch of WordPress tutorial screencasts I made. Now back to business as usual, and to vote!